Buzz about adventure sport bikes is clearly increasing online and in the media. Source: Nielsen Buzzmetrics. The sales data confirms this trend: earlier this week a report out of England indicated that the adventure sport category was the only segment of the motorcycle market still growing. When I first started riding in 2008, BMW owned the adventure sport segment (they were called dual sport bikes then), with competition coming mainly from KTM. In fact, when Ewan and Charley first took The Long Way Round, those were the only two bikes they considered. Today, there are a plethora of great Adventure Sport bikes on the market: The Yamaha Super Tenere, which is giving BMW a run for its money. The Ducati Multistrada. 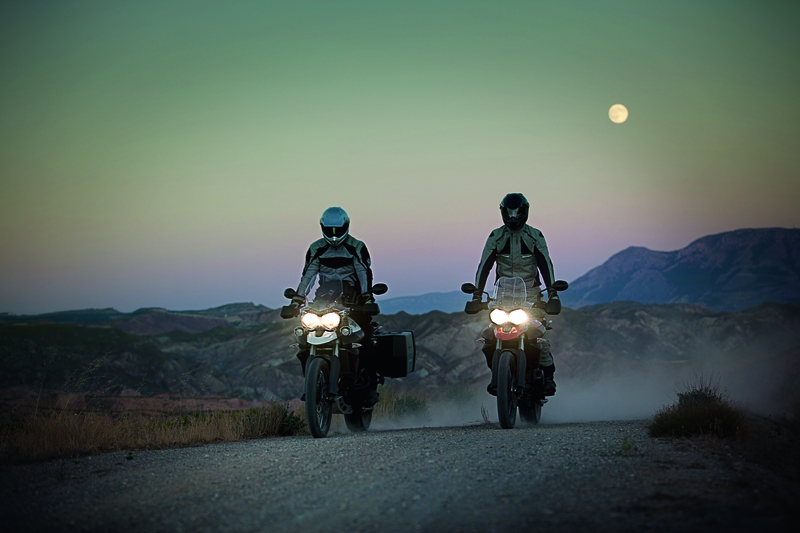 Last year Triumph introduced the Tiger 800xc, which went on to be named Best Adventure Bike by Motorcyclist magazine. There are more on the way. Triumph recently introduced the Explorer 1200, and according to my local dealer it’s going to be a very difficult machine to get your hands on come Spring. If you haven’t pre-ordered one by now you’re probably out of luck in 2012. Kawasaki just introduced the Versys 1000 at the Milan show, although it’s not coming to the states just yet. And I’m unclear if this is a true off-road machine. The Versys 650 isn’t. And of course, there are old standards like the Kawasaki KLR 650 and the Suzuki V-Strom. Speaking of which, one more data point evidencing growth in adventure touring bike popularity: since last summer I have been trying to find a used V-Strom to add to my garage. I think it would make a nice complement to my Rocket III as a light-weight, low-maintenance, fuel-efficient daily commuter that also gives me the option of going offroad. But my experience is if you find one you like, you better jump, and fast. They sell quickly, and often at asking price. So if you know anyone who’s selling a 2007 or newer “Weestrom” with low miles and a top box, send ’em my way. So, motorcycle industry: You owe a big debt of gratitude to Ewan and Charley. They helped you create an entire new segment of the market, and one that is helping to carry the industry through a recession. I still have not seen a Long Way Around. That is a movie that I need to watch. It’s actually a series. 10 episodes I think. You definatly need to see it!